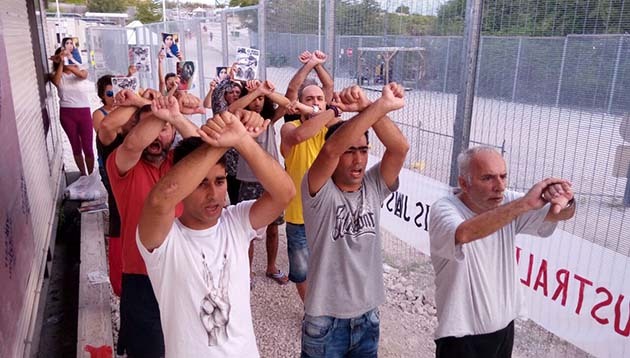 The calls to close Manus and Nauru are growing louder. Despite Immigration Minister Peter Dutton’s attempts to dismiss the leaked Nauru files, the government has not been able to ignore the outcry. Dutton tried blaming the ABC and The Guardian for sensationalism; he tried blaming Save the Children workers; he tried to trivialise the revelations of abuse and despair; he dismissed the reports as “hype”. But over 100 former Nauru workers signed an open letter backing up the incident reports and exposing Dutton’s lies. And the Nauru files were international news. Dutton also tried playing down the incident reports by saying they were just “allegations”. But the government’s own Moss review in 2015 confirmed that the reports of sexual and physical abuse of asylum seekers on Nauru were true. The abuse is a systemic element of a regime that is designed to break people and force them to return to their home countries. Dutton also lied that refugees on Nauru have refused to be resettled in New Zealand, Canada or the United States. The government has consistently refused to facilitate any “third country” resettlement arrangements and has explicitly rejected New Zealand’s repeated offers to resettle refugees from Nauru. Following the publication of the leaked reports, Love Makes a Way called protests at the offices of both Labor and Liberal politicians. Mums for Refugees held a snap protest outside the Sydney immigration office. Over 1800 academics signed a call to end offshore processing and have called for a national summit in 2017 to discuss policy alternatives. While, shamefully, Labor maintains its support for offshore detention and refused to support The Greens’ call for a Royal Commission, the public outcry has pushed Labor into calling a Senate Inquiry into the Nauru files. Although Labor re-started the Pacific Solution in 2012, and has gone along with the Coalition’s anti-refugee policies since then, Labor leader Bill Shorten has now turned on Dutton, saying Australia could not “turn a blind eye to what’s happening”. “What we see in Nauru requires the attention of the Parliament,” he says. This does not go far enough, but it does mean that the revelations about Nauru will be a feature of politics for much of the next parliamentary session. Former Nauru workers are lining up to blow the whistle on the abuse they have witnessed. Some Labor MPs have gone further. When questioned in the aftermath of the publication of the Nauru files, new federal Labor member for Herbert, Cathy O’Toole, said she was “open to onshore resettlement”. Labor has also called for the government to find third countries for resettlement, and claims that its Pacific Solution was never about “indefinite detention.” Shorten now says that Labor would be open to resettling refugees in New Zealand—another small step that will increase the pressure on Turnbull and Dutton. But the “third country” option can’t be allowed to take attention from Australia’s obligation to provide protection for the people who are in limbo on Manus and Nauru. The international community rightly regards the refugees on Nauru to be Australia’s responsibility. No other country is going to accept Nauru refugees. Ultimately, Liberal and Labor will have to face up to the fact that closing Nauru means bringing the asylum seekers and refugees to Australia. At the same time as the Nauru files broke into the mainstream, four supposed “elder statesmen”, Frank Brennan, Robert Manne, John Menadue and Tim Costello, have rushed into print to offer the government a compromise. But their conservative piece argues that the refugee movement should accept “political reality”, tone down its arguments, and accept tow-backs of refugee boats to give the government an opportunity to find third countries. This is no time for the refugee movement to back down. The proposal from Brennan and Manne would emphasise the naval blockade between Indonesia and Australia and would leave “Fortress Australia” intact. Any future boat arrivals would still be liable to be sent offshore. The government is on the back foot. We need to press the advantage over offshore processing, turnbacks, mandatory detention and permanent visas. While the PNG Supreme Court case is dragging on, and there is a question mark over where exactly the Manus asylum seekers will finally be sent, Dutton has had to admit that Manus will be closed. The refugee campaign must maintain the offensive—rallies on the 27 August will coincide with 161 days of protest on Nauru. We need to unequivocally demand an immediate end to offshore processing, and to bring all the asylum seekers and refugees to Australia.